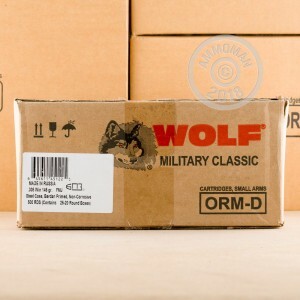 Wolf WPA ammo is a great choice for affordable range training. 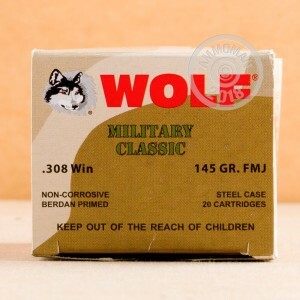 These 308 Win rounds are loaded into cost effective steel cases that are berdan primed and not re-loadable. Each projectile in this box of 20 is a 145 grain full metal jacket that has an average muzzle velocity of 2,750 feet per second. These steel cases are polymer coated for smooth and reliable function in auto-loading firearms. WPA is a trademark of Sporting Supplies International (SSI) a California based company. 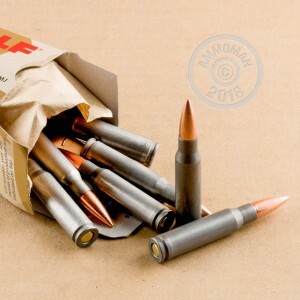 They specialize in importing affordable ammunition from foreign manufacturers. These WPA rounds are manufactured in Tula, Russia at the famous Tula Cartridge Works facility. Need more than a few boxes? At AmmoMan.com all orders over $99 receive free shipping! Buy more and save more!